The reasons for them could be many, but the most common ones are lack of vitamins, incapacitated blood circulation, diabetes, or the presence of fungus. The dry and cracked heels are one of the most common problems, due to the difficulty of finding a balanced lifestyle. 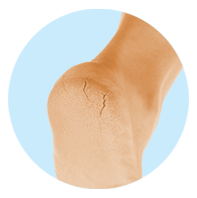 The cracked heels are considered to be not only cosmetic problem, but a dermatological one as well. People must not wait for the summer months, when open shoes are being worn, to take measures for improving their condition. Apart from the painful sensation, which they might cause, a potential danger exists from complication of the problem, which can make its solution even more difficult. The everyday care for the dry and cracked skin is of great importance. Apart from being a solution for solving the problem, the foot cream is also recommended for use as a preventive tool. When taking shower, use a pumice stone or a foot file, in order to remove the dead cells. 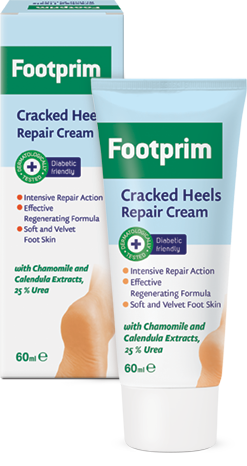 Apply cracked heels cream in the evening before going to bed, after you have taken a shower. If the problem is more serious and painful, apply a huge quantity of the cream and put on cotton socks for the night. Use soft soap with neutral pH. Try to consume more vitamins and foods, containing fatty acids Omega 3-6-9. They help with retaining the moisture in the skin. Make an effort to select shoes, which are comfortable and do not press your feet. This way, you will protect yourself from incapacitated blood circulation, which is one of the reasons for drying the skin on the feet to a painful point. If after long efforts you cannot solve the problem with the cracked heels, seek medical help. They could be a symptom of a more serious illness (diabetes, impaired metabolism, or other).